Wall Street has always been a dangerous place. 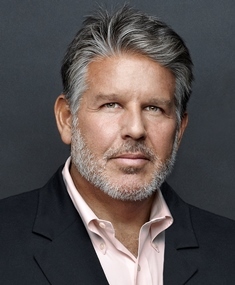 Firms have been going in and out of existence since Wall Street was nothing more than, literally, a wall that separated the Dutch colony of New Amsterdam from the Native Americans that the Dutch feared would retaliate against them for their own vicious attacks against them. How we went from a wall -- removed by the British after they took over New Amsterdam and renamed it New York -- to Wall Street is the story of America itself. It's a never ending story of risk and reward, taking big chances with your own money and other people's in hope of getting rich. That's the central tenet of the American Dream and that is crucial interstitial role played by Wall Street banks. In truth, we probably wouldn't want to live in a society without the goods, services and wealth that Wall Street provides. And yet, Wall Street often leads us astray, into dark alleys of crisis that we would rather avoid, if only we could. 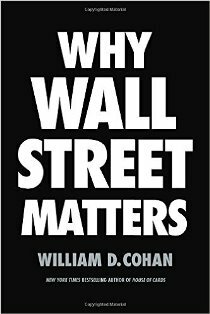 Bestselling author and Vanity Fair special correspondent William D. Cohan will take us through some of the history of Wall Street, why it keeps getting us in to trouble and how we go about trying to make sure that happens less and less often. Books will be on display and available for sale at the event. Registration is subject to availability and will close on Wednesday, November 29 at 12:00pm - No Exceptions!